Despite the breadth of competitively priced alternatives available, the intensely price driven market for white moulded doors remains unprecedented. 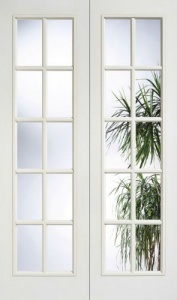 Practical, functional and undeniably cost-effective, our white moulded doors are identified by their clean, simple lines making them suited to complementing most interior décor schemes. All are supplied factory pre-primed across a range of ex-stock sizes. Even allowing for the fact that these are undeniably budget priced doors, we guarantee you’ll be wholly impressed by their quality.